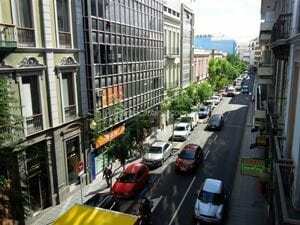 Our translation office in Spain is located in the main city of Gran Canaria, Las Palmas. Our office is open 24 hours and is where you can drop off your documents if you need Spanish translation services. Every client that has documents for translation is different and has different requirements. This also makes every challenge different. With more than 5,000 customers and millions of words translated in the past 18 years, you can say that we have “the experience”. Eighteen (18) years ago, our office was located in the south of Spain, Malaga, where it all started with in-house translators, as well as where we started to develop our project management software. These days, the software management frontier is vast and helps to speed up the translation process amazingly. In this way, the information that we need is readily accessible to us; at any time we can find any information, regarding the status of a project, in order to inform the client. 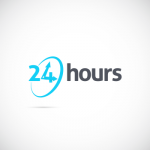 You can also get in touch at any time, 24/7, by phone, email or live-chat on our website. 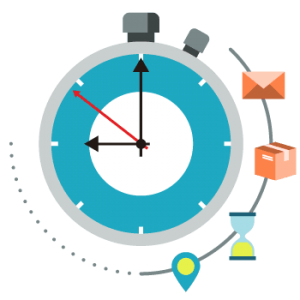 Our project management team works in different shifts in order to help our clients, internationally, around the clock. We have a special team that is tasked with training our translators; not on translation itself, but on special technical requirements which need to be explained clearly to the translators in order to bring a translation project to a good end. You can say that we are the leaders that work closely with our translators and one of the few that are open 24 hours a day, including the weekends! We provide Spanish translation services around the clock, so visit our translation office in Spain or ask for your free, no obligation quote by phone, email, or live-chat at any time. If you’re in a hurry and need same day translations, we can help you. We do not charge rush fees or weekend extra rates, and we are able to provide a fast turn around time for any of your projects! If you need Spanish translation services for your documents, we can help you. We also provide translations from and into over 120 languages, and we are open 24 hours. Any person who plans to pursue further education, to get a job or to immigrate to a Spanish speaking country needs to ensure that all his documentation is translated in Spanish. For this purpose, Spanish certified translation services are required. Since the documentation is a critical step when proceeding with any official procedure, one has to ensure that the translation is accurate and authentic. We provide certified translation with guaranteed acceptance at any legal office. If you are looking for certified translation services, you may look around your area. 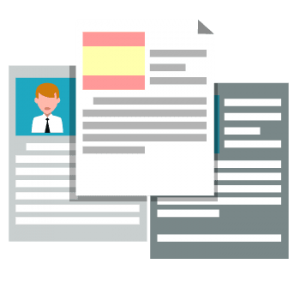 You can surf the web or search in Google using keywords “Spanish translation services near me” and the results will pop-up in no time, with us coming in in the first spots. Why? because we are efficient and accurate in what we do, and we will help you overcome the language barrier and steer smoothly through all the process by providing accurate translation for immigration at fair prices. Since translation becomes more and more needed, some service providers charge handsomely for providing their services. It is an emerging business, and for people who are proficient and fluent in Spanish, this is a golden chance to make use of their skills. It is not uncommon for Spanish translation services rates to go up to 20 cents per word with some companies. 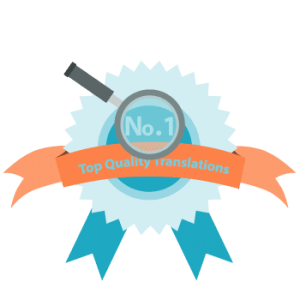 We however charge the lowest translation rates on the market and we never compromise on quality! It is indeed true that the world has become a global village and availing any kind of services on the internet has become an easy job. But when the matters at hand are associated with language translation, you know that you just can’t rely on the ordinary. Universal Translation Services understands that people who need translation sometimes need an assurance more than an online presence which is why we have maintained our brick and mortar translation office in Spain. Even though our online translation services are open for everyone around the globe and anyone can connect with us anytime through our live chat, we also intend to maintain our communication with our customers through our tangible offices. We believe that talking and getting to know what the clients require from us enhance their experience and builds a sense of trust for better understanding and good future relationships. 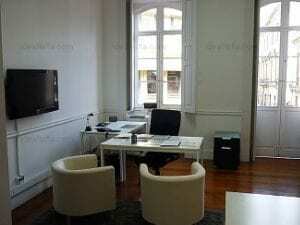 Our native translators at our Spanish office are always available for project discussions. Our project managers acquire all the data and information from the clients and sends them over for further analysis to the concerned team. The people who need to get anything translated just have to upload the content online and provide all relevant information where they will be connected with an expert in the respective field, who can discuss the details with the client and come up with the desired outcome as per the client’s wishes. Here at the UTS, we make sure that the most suitable and experienced translator will take responsibility and accomplish the job within the deadline. These expert translators include legal specialists, business experts, medical specialists and documentation authorities which have been helping us for years in providing the best Spanish translation services to our diverse clients. 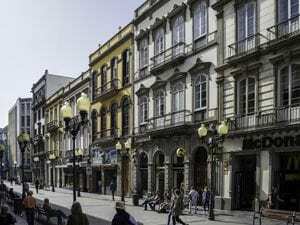 If you are residing in Spain, then apart from contacting us online, you can also visit our office in the main city of Gran Canaria, Las Palmas. 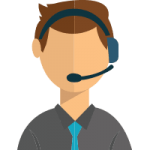 Our customer support is always ready to help you and guide you in the best way possible. With an experience of more than 16 years, our office in Spain has the best team to deal with your projects and deliver you the highest quality results. Having such a vast experience behind our back not just refined our firm’s output quality but we now have a number of extra services to offer our clients. UTS disrupts conventional language services to deliver exceptionally fast and high-quality human translations anywhere and anytime. We offer a full package of translation and localization, which will ensure the highest quality of translation and workflow (e.g. proofreading and quality control, the use of translation memory, a team of selected linguists working on a project, personal account manager, etc.). Universal Translation Services provides the translation with such an accuracy which meets corporate expectations for enhanced collaboration, heightened quality, cost-effectiveness, and productivity. Our excellence is not bound to a region and we utilize all our prospects in the provision of the best quality services for our clients, not just to those needing Spanish translation services. Having offices in Aventura and Miami allows us to operate at a global level and we take on customers from all over the world. The scope of the Spanish language is increasing at a fast pace, and with that, the inflow of people to countries where Spanish is spoken is also increasing. Business collations with Spanish countries are becoming more and more mainstream. Beside Spanish being spoken by millions as a second language, it is also the official language of 21 countries, which means the documentation and means of official communication are in Spanish. Spanish translation services are also essential when one is looking for business expansion opportunities. In order to bridge the communication gap, translation service providers are hired to assist in interpreting email correspondence, telephonic conversations, legal documentation and any other documentation that is involved in a business partnership. Also, accurate translations are needed for website translation, from and into Spanish, so that the desired target audience is reached. We also offer our general and customized affiliate program for our clients in Spain, so it’s not just about getting your documents translated; it’s also an opportunity to become a part of our organization and earning some extra income. If you have a website or a blog which deals with languages, translation or immigration, your traffic would be a perfect fit. All you need to do is sign up for an account, get your special link and add it on your website. You will earn 17% of what clients referred by you spend on translation services with us. A perfect opportunity for you to refer your visitors to a leading translation company and make money in the process. The official language of 20 countries, Spanish has made its name around the world. Whether you support Real Madrid or Barcelona, it is their slogans in Spanish that you will be chanting on the days of their matches. But knowing basic phrases and being able to translate a language into another are two different things. 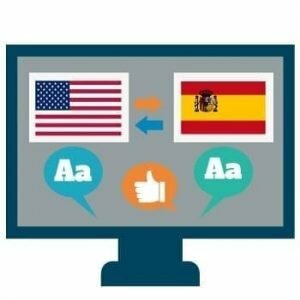 For the most accurate Spanish Translation Services, you can’t just turn on your computer and mix and match phrases yourself. You will need the expertise of experienced translators. With an eighteen-year-old history, UTS is the right translation service for the job. 20 countries may have Spanish as their official language but each of these countries has different cultures, and that affects their language usage and documents’ formation. We at UTS understand this and translate each document accordingly. Our translators have a deep understanding of the cultures of different countries and are best suited to translate your documents from and into Spanish. their credit, then they can help you with your translations too. Universal Translation Services has its office in Spain so people in Spain can get in touch with us easily. But there are multiple ways you can contact us. 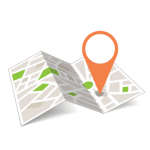 If you can’t visit our offices, you don’t have to worry. translation to you. You can also receive your translations via email.